Subject matter experts and key stakeholders will take part in roundtable discussions on improving the management of historic, current and future liabilities associated with the full life cycle of upstream oil and gas development. The review will focus on further protecting Albertans and the environment while keeping Alberta a competitive place to invest. Diverse perspectives will be at the table to help inform policy discussions, including representation from industry, landowners, environmental groups, municipalities and Indigenous communities. The review is expected to be complete by the end of 2017. “Rural landowners and municipal districts have many concerns surrounding this issue. We’re pleased to see government is beginning its review and look forward to learning more about how we can address it,” said Al Kemmere, president, Alberta Association Of Municipal Districts & Counties (AAMDC). An orphan well or facility is one confirmed not to have anyone responsible or able to deal with its closure and reclamation. Inactive means a well or associated facility where activities have stopped due to technical or economic reasons. Not all sites in this category are orphaned. Many may be reopened and produce again at a later date. An abandoned site is permanently dismantled (plugged, cut and capped) and left in a safe and secure condition. Remediation is the process of cleaning up a contaminated well site to meet specific soil and groundwater standards, while reclamation is the process of replacing soil and re-establishing vegetation on a well site so it can support activities similar to those it could have supported before it was disturbed. 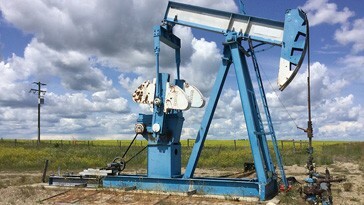 Alberta has an estimated 180,000 active wells, 83,000 inactive wells and 69,000 abandoned wells. As of March 2017, the Orphan Well Association (OWA) had an inventory of 2,084 orphaned wells to go through closure activities (1,394 to be abandoned, 690 to be reclaimed). The OWA closed 185 wells last year.